In early 2005, Steve Simon was invited by his family to establish the New Mexico branch of The Ronald Simon Family Foundation and to implement the newly formed Simon Scholars Program. The New Mexico program began as a traditional scholarship fund serving a handful of students from a small charter high school in Santa Fe. 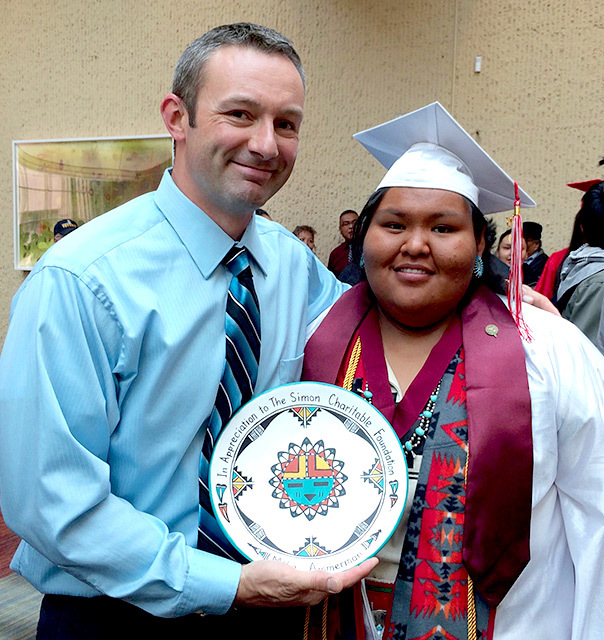 Steve soon recognized that financial support alone was insufficient in addressing the needs of these students, so he sought input from seasoned educators with a commitment to service and a proven track record of success in New Mexico. What emerged from this dialogue was a commitment to not only provide students with much needed financial, academic and college guidance support, but also to build a strong sense of community and belonging among our scholars. Over time, the program has grown both in size and scope, serving a cohort of 40 high school students, 80-100 college scholars, and a rapidly expanding group of alumni each year. The New Mexico Simon Scholars Program is designed to address some of the challenges that economically disadvantaged, first generation college-bound students from New Mexico face in pursuing a four-year college degree. We rely on our scholars and alumni to inform and guide our programmatic initiatives, and we actively engage with our scholars throughout high school, college, and beyond.